In Germany (and other countries) more and more attacks are carried out in the No G20 campaing. We publish a statement about an attack in Lueneburg, Germany. Originally published at Linksunten, translated by Enough is Enough. A short time ago, we removed several surveillance camera’s in the inner city of Luenenburg (Germany). 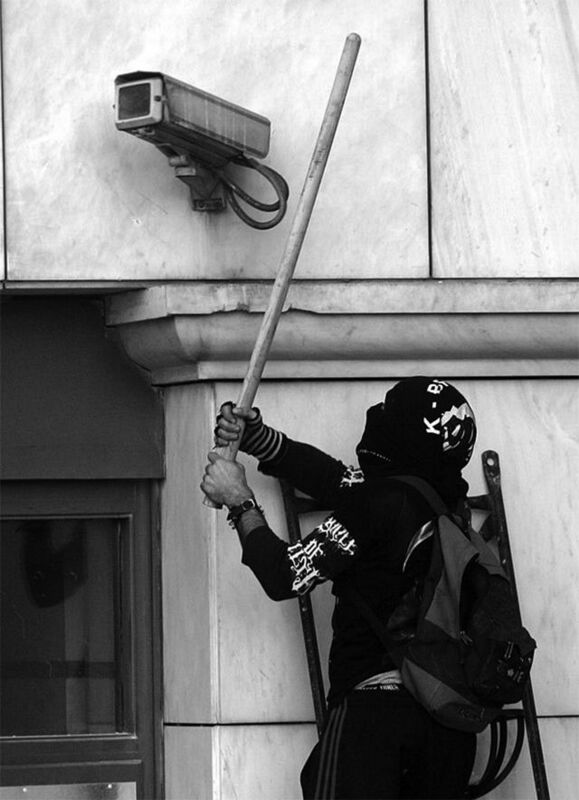 We consider this a a small contribution against surveillance in this and other cities. In the context of expulsion and repression, the fight against gentrification must also be a fight against the rampant surveillance! Because the city is looking more and more like a prison! Because their freedom is only a freedom for tradeable goods! Because the enemies of freedom are our enemies!